Finance Committee approves 121 million budget to help support students - but opposition MKs says discriminates in favor of yeshiva students. As part of the coalition agreement between Likud and United Torah Judaism, the Finance Committee approved a NIS 121 million ($31 million) budget to help with income support for yeshiva students and university students who meet the criteria. Thus, ten thousand Yeshiva students who are classified in a low socioeconomic status will benefit from a monthly support installment of NIS 1,000 ($260). Additionally, about 20 thousand college students will receive the same benefit should they meet the criteria. 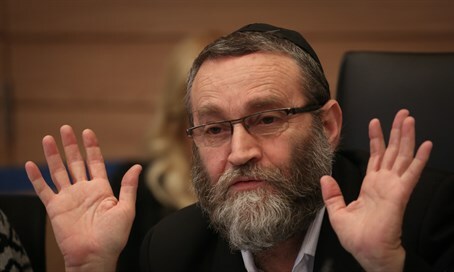 Committee Chairman MK Moshe Gafni (UTJ) said that this budget was meant for January as agreed in the coalition agreement. During the discussion, members of the opposition criticized the move saying the budget is unjust, "This move does not manifest fair and equal treatment," said MK Oded Forer of Yisrael Beytenu. Gafni retaliated that without his struggle, there would not even be a budget for any students and if there is a delay in the yeshiva students budget, there will be an equal delay for college students as well, which is something that nobody wants.